Colorado's Western Slope, which includes the area that became Battlement Mesa, Colorado, was one of the last regions to be homesteaded after the Native Americans left the area in the late 1880's. Settlement was slow, in part, because Colorado's mountainous regions posed difficult travel challenges and because minimal productive farmland was available. 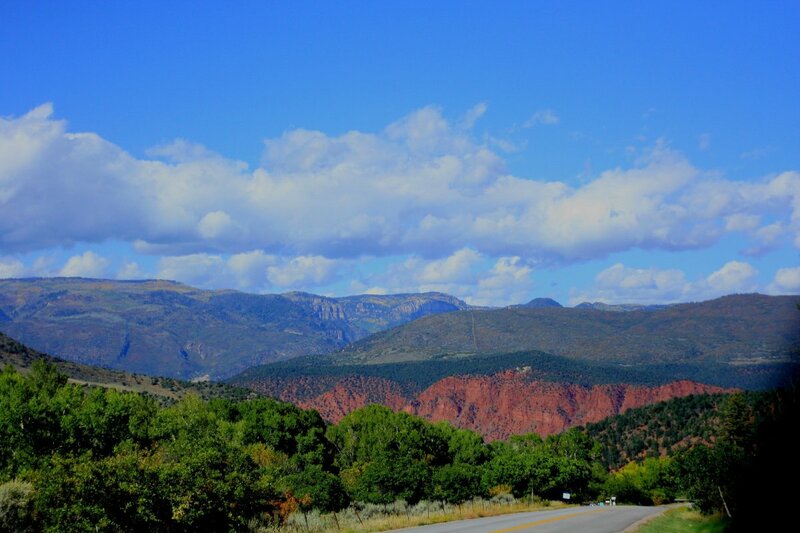 The first recorded European visitors to the area were Friars Escalante and Dominguez and their team who crossed the mountains southeast of Battlement Mesa in 1776. They traversed Battlement Mesa and crossed over at Streits Flat at what is now known as Una. Una is approximately five miles west of Battlement Mesa. Decades later, early settlers realized that the mountains surrounding Battlement Mesa were ideal for summer grazing for cattle and sheep while the Colorado River Valley provided needed winter protection for their livestock, thus cattle and sheep ranching began to flourish in the area. The nearby areas of Parachute and Debeque experienced several oil shale boom and bust periods in 1916, in the 1920's and in the 1940's. In the late 1950's Union Oil of California purchased the old Lindauer Ranch at the head of Parachute Creek where an oil shale retort would eventually yield over 1,000 barrels of crude oil per day was built. Once again problems developed and the project was abandoned. In the late 1970's Colony Oil Company established a plant up Middle Fork which was later sold to Exxon who acquired other properties in the area and began their 5 billion dollar development project. Unfortunately, when crude prices dropped precipitously in 1982, Exxon closed the plant on May 2nd and laid off 2,00 employees. 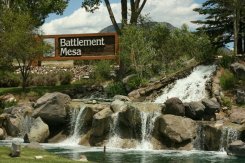 Since 1982's "crash" Battlement Mesa, which was initially developed by Exxon, has been transformed into a beautiful 3,200 acre homeowner's association development with a resident mix consisting of both retirees and employed residents. 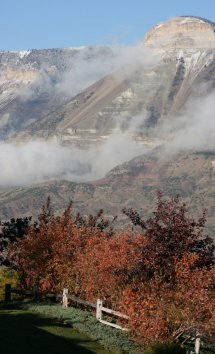 Battlement Mesa is part of Northwest Colorado's "Boundless Landscapes & Spirited People" story. For more information about Battlement Mesa and Northwest Colorado's Cultural Heritage, visit www.nwcoloradoheritatetravel.org or Click Here.